I would sum it up with two words, but I don't want to use that kind of language on the blog. They really made a lot of changes since the last Club Penguin update. My wife was generous to let me have a day at the event on my lonesome. I appreciate it, as I was so taken aback I spent a lot of it just roaming and trying to take it all in. As opposed to the 70 table card show I frequent, this was easier 6 times larger, with a wider variety to see and buy. It was almost a mini Hall of Fame (more about that in a later post). I had a decent cash flow to spend, and spend it I did. Though, again - overwhelmed - so I probably missed a ton of great stuff. Since I have an idea what to expect, I will be ready for 2014 in Cleveland. Or 2015 back here. Anyway, I thought I would share my spoils over a few posts, starting with vintage. For those seeking vintage, oh baby the National is for you. I think that was what threw me the most - seeing all the cards I really only read about. Sure, I didn't get to handle them (and at times, was so blown away I forgot to take pictures of them), but to actually see one just inches from my face made the event fun. Plenty of cheap vintage was available for my budget, however. I made the most quantity of purchase (except for '13 set builders) from one vendor. 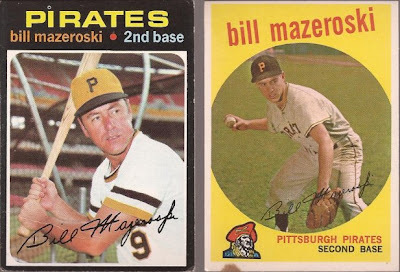 Like these two Mazeroski's. 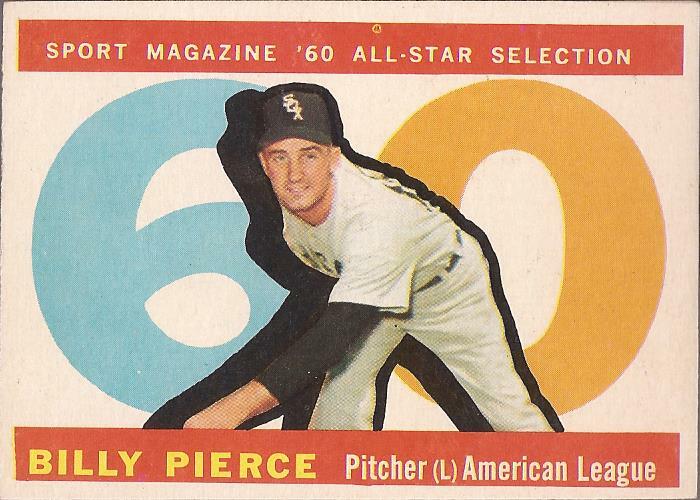 Except for that blemish/burn mark at the bottom of the '59, it looks fresh out of a pack. These two cards only set me back 2 bucks. 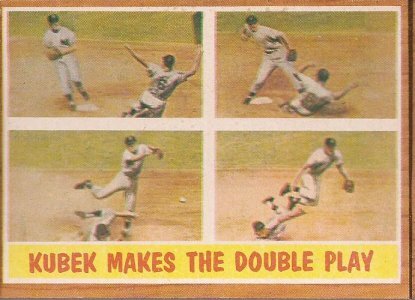 Same vendor had this '61 Kubek for my double play binder. This was also in the dollar box. Again with the vendor, though I moved out of the dollar box. They had a few cards from this 1959 Ted Williams set. While this is not showing the turn at two, I am putting it in my double play binder because of the mention of DPs at the bottom. Well loved with all the creases. Cost - $1.50. This vendor's discount vintage box was just amazing. They actually had a Mantle in there. I forget the year, but it we really beat up, torn in half and taped together. I couldn't drop the money they were asking for that card. However, I couldn't pass up these three 51 Bowmans. The Trucks is trimmed at the top for some reason, but perfect otherwise. Lollar has some rounded corners and fading on the front. 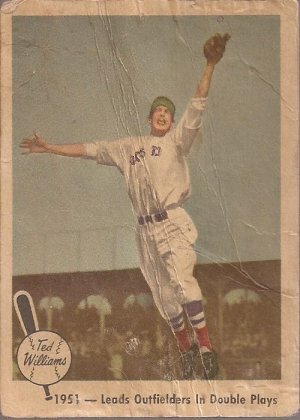 The Wertz has a crease in the middle and some paper loss. Yet, when you consider the three cost me $5.50, I was happy to own them. Last card from this vendor. I was shocked to pull this out of the discount box. 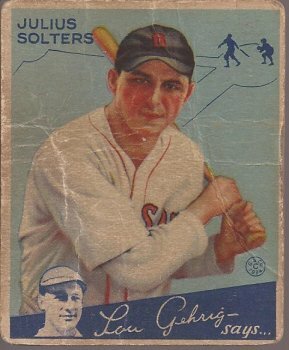 Who finds a 1934 Goudey in a discount box? Yes, condition is poor. It's not a White Sox and it is a common from the set. It also set me back a meer five bucks, so all that doesn't matter. The last vintage came from two different vendors. I figured I should be able to knock the last few cards of the Pierce Project. I needed 4 - now I need two. 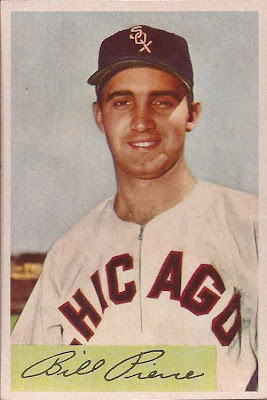 1954 Bowman. Amazing condition and only five bucks. I almost pulled the trigger on eBay for one in slightly poorer condition and at a higher price. Glad I held out. So there's one recap. Tomorrow, let's talk current cards, including the only box I ripped. The '51 Bowman set is one of my favorite vintage sets. Sweet pickups, I'm going to be jealous as I read everybody's recaps of the National. Really great deals on the vintage. Thanks for a recap of your findings. Fantastic cards - fantasic-er prices! What great finds. My faves are those Maz's. Oh, man, I need that Wertz. Would you be willing to trade it? I think I could turn it into at least two '50s White Sox Bowman cards. Awesome! I'd jump all over a Goudey card at that price. I hit that vendor's vintage table right after we got done meeting up. I didn't get a chance to dig through the dollar boxes since they were heavily occupied by other people at the time. I landed a whole bunch of awesome cardboard from the other miscellaneous discount vintage boxes, though. I'll have 'em up on the blog soon. Yowzers, what an awesome day for pickin up cardboard. Sweet vintage haul! That Kubek is an awesome specimen for someone who collects double dips.